Those of you unfazed by March Madness or still sober after the ritual Wearing of the Green might have noticed that this weekend served as the last of its season. Did you make the most of it? I had to work all weekend but managed to chase snow birds on Friday morning. I might have missed out on those buntings I’ve been hunting, but lots of Horned Larks made up for the loss. Corey didn’t see many birds that were too exciting this weekend but he did really appreciate the bright red male cardinals coming into the Forest Park waterhole. 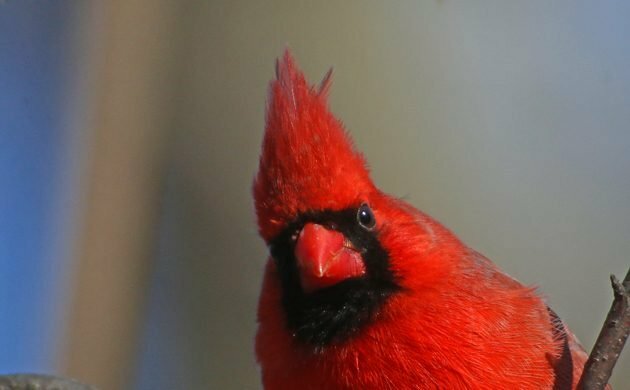 With early spring still feeling like winter any color at all was greatly appreciated so Northern Cardinal was Corey’s Best Bird of the Weekend. We moved into our house in a semi-urban area of Philly in January, and the only birds I’ve noticed on our property were the house sparrows squatting in an eave. Well, yesterday we went into the backyard for the first time and flushed a few Mourning Doves, and this morning I noticed an American Robin perched on a gutter. So it was to see other birds, however ordinary, sharing our space! As much as I have had such a great number of new birds, I was so excited to get to see te Yellow-eyed Penguins at Moreaki Point, South Island, New Zealand! Where Are You Birding This First Weekend of September 2016?